Tourmaline Harris's life hit pause at fifteen, when her mom went to prison because of Tourmaline's unintentionally damning testimony. 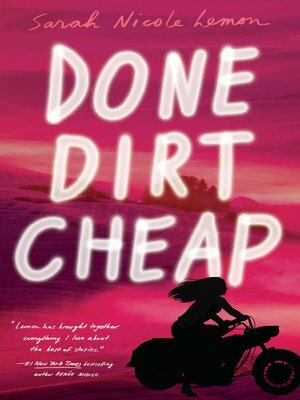 But at eighteen, her home life is stable, and she has a strong relationship with her father, the president of a local biker club known as the Wardens. Virginia Campbell's life hit fast-forward at fifteen, when her mom "sold" her into the services of Hazard, a powerful attorney: a man for whom the law is merely a suggestion. When Hazard sets his sights on dismantling the Wardens, he sends in Virginia, who has every intention of selling out the club—and Tourmaline. But the two girls are stronger than the circumstances that brought them together, and their resilience defines the friendship at the heart of this powerful debut novel. Sarah Nicole Lemon has butchered wild game, worked at a plastics factory, and earned her bachelor's degree in pre-law—but she skipped over law school to wander the Blue Ridge and Appalachian Mountains instead. Sarah lives on the Chesapeake Bay.